" Hmm! Christmas Is On Its Way ALREADY!"..." 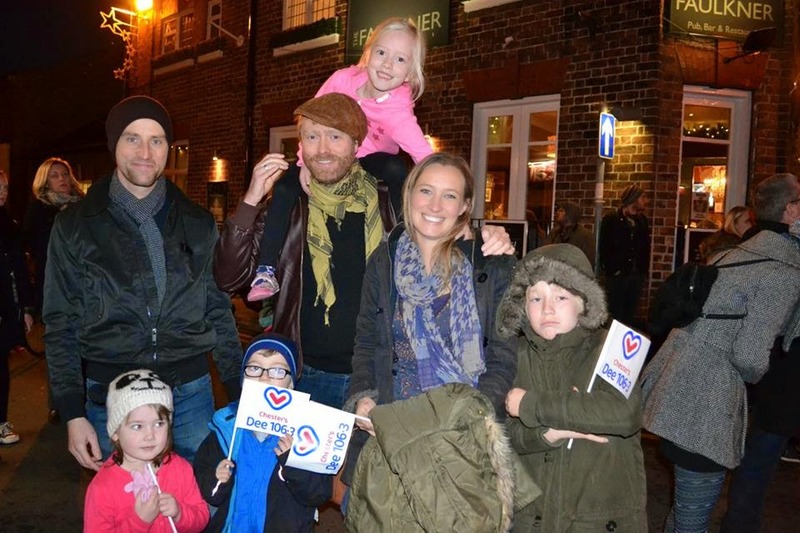 Christmas Lights switched on in the streets of Hoole ( part Of Chester) last Saturday. 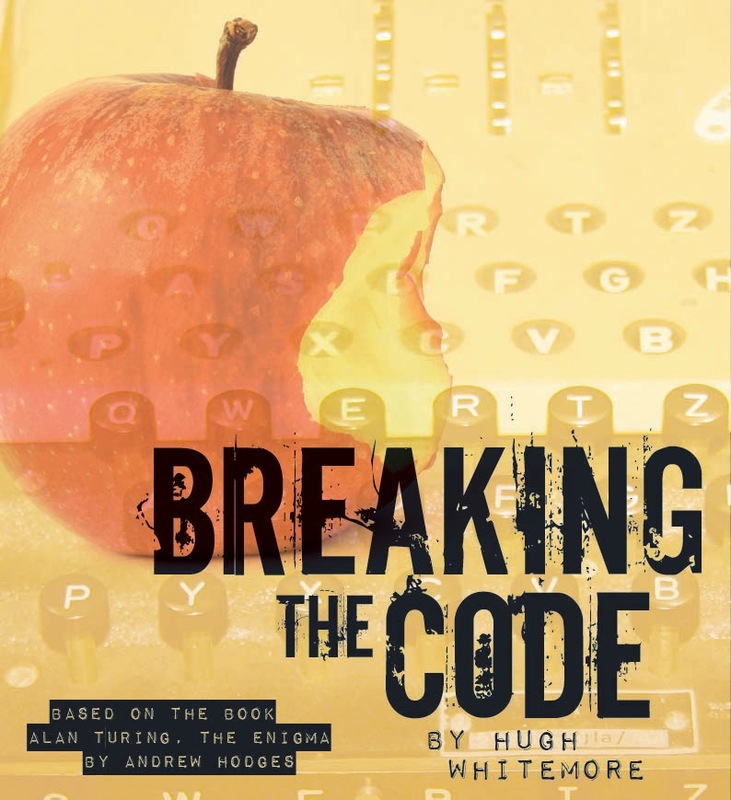 Chester Theatre Club's new production of " Breaking The Code" by Hugh Whitemore ( based on the book " Alan Turing, The Enigma" by Andrew Hodges) plays this week to packed houses and it's receiving much deserved standing ovations. ***This is a SUPERLATIVE production of a superlative play***. John Henry, 20 something(? ), as Turing, the guy who broke the German Enigma code at Bletchley Park, is appearing at the Little Theatre for the first time...and already his is work admired. The play was skilfully directed by Jane Barth. Other parts triumphed too, particularly Laura Monkhouse as Pat Green. She is another clearly talented young actor. My group ( The Hoole-igans....or officially, W.E.A. class: "Write Stuff" ) had visitors recently. Local poet Jane Mack talked about her connection with writer Laurie Lee. This was particularly apt as 2014 is 100th anniversary of his birth. We heard lots about Lee, but no time to hear Jane's own work, which is always a treat. Hopefully another time. Last week, Cheshire Poet Laureate (2006) Joy Winkler visited. She celebrates publication of her anthology " Stolen Rowan Berries" ( referring to childhood adventures!) and we heard several of her lovely poems, many based on her obvious appreciation of flowers, plants and the natural world. These were illustrated beautifully by Karen Rossart. Joy also treated us to a couple of workshop exercises, based on her poems. We had some both inspired AND inspiring results! Looking forward to another visit from Joy ASAP! ** See my post when Joy work-shopped for Friends Of Chester LitFest in February 2013.** . BUT on November 11th, we went to Theatr Clwyd for a Lunchtime Picnic Play. 4 actors read a vivid assortment of writing from 1st World War ( prose, poetry, newspaper reports, formal letters, personal letters, diary entries) and this gave a wonderful insight into thoughts and feelings of people who lived through this traumatic time.. Here is my class at work. There are 20 Hoole-igans altogether, so this is just a sample. From Left: Russ, Derek, ( I THINK there's someone betwixt me and Derek...but not sure!) then me, Rebecca, Sue P, Carol, Neil, Mike W, Elizabeth, Gill, Sue B and Judith. Then I think it's either the head of Marigold...or that of Pam!! In the glossy new Everyman bar we found Liverpool writer Deborah Morgan ( Debbie) and it was lovely to see her again. She's visited Chester during its LitFest and also talked at Malpas Festival about her book " Disappearing Home", published in 2012 by Tindal St Press. See Blog Post : May 31st, 2012. APLOPOGIES for omitting this post. It was hiding shiveringly n a draughty corner amongst my drafts! "A PAIR OF TALKING HEADS..."
BECAUSE the 2 actresses were Delyse Rostron, absolutely stunning as Irene Ruddock ( " The Lady Of Letters") plus newcomer to Little Theatre ( but much acclaimed locally , particularly with TipTop Theatre Company) the vivacious Marian Newman, playing sherry loving vicar's wife, Susan. I've always admired anything by Simon Callow, SO I had to see him on his visit to Theatr Clwyd, when he starred in Matthew Hurt's production of " The Man Jesus". AND I was not disappointed. It's an amazing play. It looks back 2000 years at the major moments in the life of Jesus, told through the eyes, voices and thoughts of those who knew him. AND Callow evokes them beautifully. We see tyrants and traitors and madmen.......we see the raising of Lazarus, the wedding at Cana and the journey to Jerusalem.......all through the wonderful dramatic and moving voice of Callow. "Anglesey, Mid November, Clear beautiful skies"
After some dramas of late, we've visited "Our Friends From The North"..... they're now also "Our Friends From Wales"........owing to the fact they've bought another house on the Menai Staits. This is just over an hour away from home. We had a lovely time with them as ever, coupled with all of us taking a soul reviving, heart uplifting trip to gorgeous Anglesey....Fully recommended.
" Dylan And Divali: A Cultural Mix!"..." At Town Hall and through streets, a vibrant Divali Festival: .dancing, music plus other performance, much appreciated by all! AFTERWARDS Friends Of LitFest, met in a pub on Town Hall Square..."The Coach And Horses".....2 Welsh poets, David and John, read Dylan Thomas poems/prose pieces, along with readings from Helen, Derek and Ray. 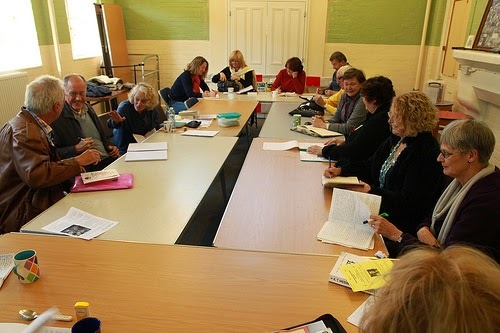 *****Snaps show: The Writing Shed, Divali Dancing, plus The Coach And Horses, plus appreciative listeners, with readers Ray, Helen and Carol.
" AN ORDERLY(??) SUNDAY LUNCH......."
Sunday Lunch yesterday at the ultra friendly Faulkner Pub in Hoole.